The book interviews 30 top Norwegian sportsperson on how they have practiced the mental skills to succeed, growing up, relationships and environments that have been important for their development, and they share thoughts about self-esteem, motivation, stress management and good performance culture. 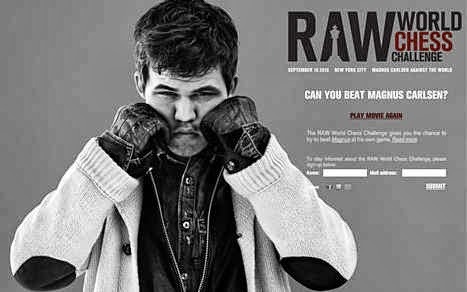 Of course, one of the interviewees is chess prodigy Magnus Carlsen. The intro to the book goes: Americans were first on the moon, but we have the all-time world no. 1 in chess, begins the section on Magnus Carlsen. 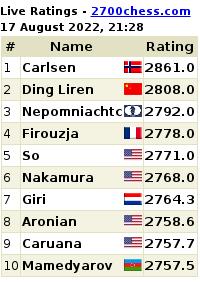 It talks about how Carlsen has held the top slot in chess ratings since 2010 and gone on to become the highest-rated chess human ever. Then follows a short history of chess and, of course, the mention of the 1972 Bobby Fischer versus Boris Spassky World Chess Championship followed by mentions of Anatoly Karpov and Garry Kasparov. "Chess is a game, but symbolises in many countries also national pride and politics," say the writers, quite rightly at that. Photo (in the book for Magnus Carlsen interview) (C) Photographer and Cinematographer Hans Kristian Riise. Then follows the interview in which Magnus Carlsen explains exactly why HE IS GOING TO be the next World Chess Champion! "I will be world champion because I'm going to be in my best shape ever. I'm going to be better prepared than I ever have been, in all respects: chess, practical and physical. Not least, I'm the best player. I have the best understanding of the game and the best sporting qualities at the board," explains the Norwegian prodigy. Carlsen's motivation has always been that he plays for fun. "The main motivation factor in my career has always just been playing chess, having fun and learning more about the game," says Carlsen. Carlsen says his motivation is to learn more about the game even when there are errors (which even if only he knows about) and he has learned a huge amount of chess over the last three years. "The fact that there are so many new things to learn is motivation enough for me. In each case now, I think it's fun to play. It is not always as fun to prepare and stuff like that. 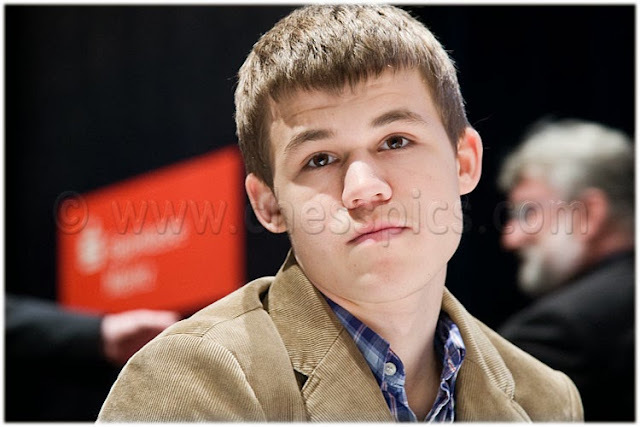 But it's always fun to play," says Carlsen. Q: Which mental abilities are required for a winner, or what does he think is the winning mentality? win or not. If you yourself are performing at top, you will come to win. I think that it is always better to be optimistic than pessimistic. For, if one is pessimistic, one sees limitations, and does not always see the opportunities. It does happen often that my optimistic assessments are wrong, but I think it is better to make this mistake than by being the other (pessimistic). Q: In a sport like football there is talk about how important it is to play one's own game regardless of what the other team does. Does this kind of thinking transfer to chess? important in chess, but not always. For I think it is a bit like that in chess as in football, if you feel you are the best player you can just hold on and play your own games. But, there is always some small adjustments you need to make in relation to your opponent. Q: What is your greatest mental strength as a chess player? Q: Does Magnus Carlsen even agree? I think it is very difficult to assess oneself. I do not think I can handle stress and pressure particularly well. But I think in a way, there are times I think I can do it. Because, if you only have a few unpleasant experiences and you succumb then you yourself might not even be sure you can handle it so well... I think it 's hard to say I can handle pressure very well. - For very many players it is so that when they lose a game, it starts to go downwards. They do not sleep at night. The tournament goes bad, the trend is negative. But Magnus is different. It is typical of him is that he is horribly irritated, and may have trouble dealing with the emotions. But he manages to turn his annoyance into greater focus for the next game, and manages to turn things around to great play after a loss instead of sliding down a negative path. Q: Magnus Carlsen is described often as an intuitive chess player. What does he think? The fact that I can be considered an intuitive chess player, I think, partly comes from my early experiences (as a child), where I put all those hours with myself on the chess board and tried out things. It meant that I eventually got a feel for chess, an understanding of the game. General good players use more long-term memory than short-term memory during a chess game. You use past experiences. It is the intuition that is largely based on the past experiences. So it is your experience that gives you a different impression of the new situations before you (on the chess board) and then you have to consider what impression you can use. You must be able to continuously make up your mind about which past experience that can be used. It may be that you use them exactly in the situation you are in, or if there are any nuances that are different. I think that I largely am able to make good decisions based on past experience. There are of course many who have a lot of the same knowledge that I have, but who are unable to make good decisions based on the knowledge. 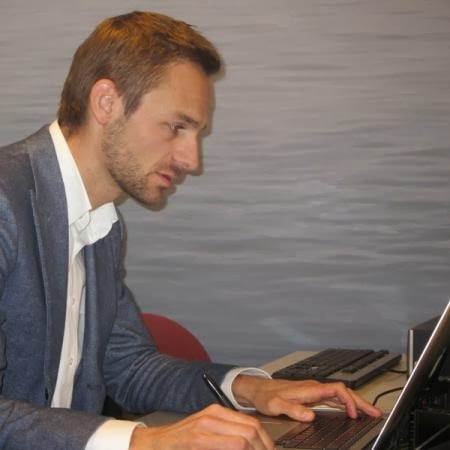 In an exclusive story, NRK Sports has quoted World Chess Championship Challenger's manager Espen Agdestein on where Magnus Carlsen would spend the rest days during the World Title Match. However, Agdestein has not revealed the secret location the chess prodigy is training at present. The World Chess Championship schedule includes a rest day after every two games. 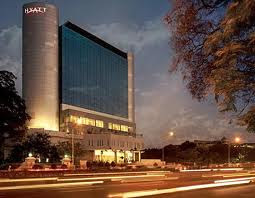 The main match takes place at the Hyatt Regency in Chennai. On the rest days, to take a break, Magnus Carlsen will commute to a spa resort a short distance away where he would be able to swim, play beach volleyball and tennis or just relax. There are two luxury hotels near Chennai. Meanwhile, even as Carlsen trains at a secret location, on being prodded by NRK Sport whether Carlsen would stay at the Fisherman's Cove on the rest days during the World Chess Championship, Agdestein said the location is a secret. During the World Chess Championship stay, Agdestein believes it is crucial that Carlsen has a place to go to escape the chaos surrounding the World Chess Championship in India. 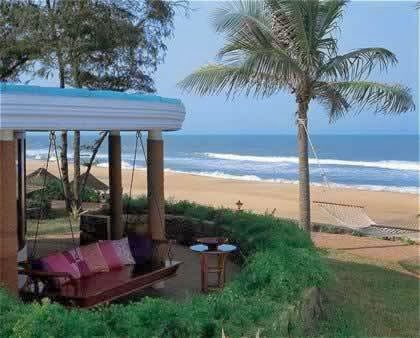 "To stay in a place for three and a half weeks is a long time, although it is a very nice place. Playing venue is also in the same place, and there is some limited hiking and sports around the hotel. It was one of the things we found on the inspection tour," said Agdestein. Since 2007, the World No. 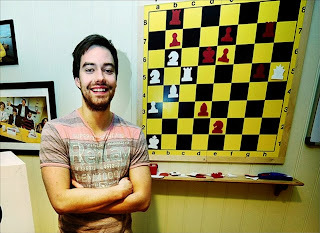 1 chess player's company has had a turnover of 27 million NOK ($4.5 million) and a profit before tax of 15 million NOK ($2.5 million) according to Dagens Næringsliv (Norwegian for Today's Business). 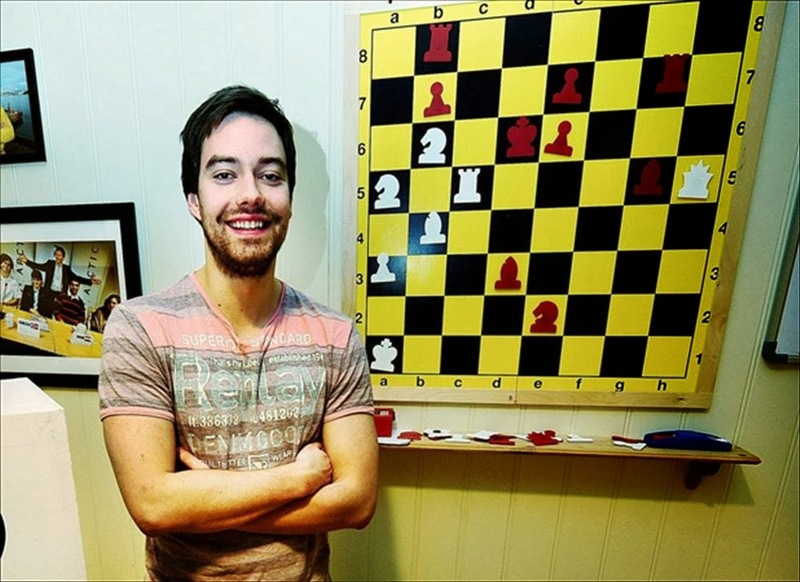 Chess world's 22-year-old talented prodigy had, at the end of 2012, built up a solid equity of nearly 12 million NOK ($1.97 million), according to DN. Commonly known as DN, Dagens Næringsliv is a Norwegian tabloid specialising in business reporting and is pegged as the fourth largest newspaper in Norway. On his part, the planet's top-rated chess player has said he does not care so very much for money. 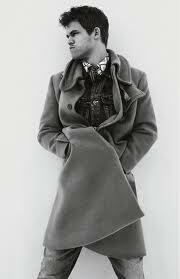 He leaves the management to his manager Espen Agdestein and father Henrik. 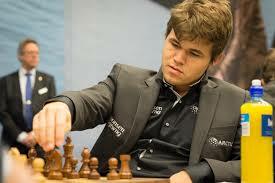 Carlsen told DN, "I am very grateful that I can live on something (chess) I think is so fun. Beyond that I'm not thinking so much about it." 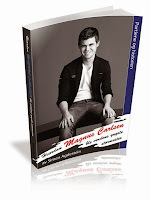 Magnus Carlsen owns 85 percent of the company MagnusChess. The remaining 15 per cent is owned by his father Henrik. His father confirmed to DN that the recent developments were "nice" and they hoped for a revenue increase in 2013. Norwegian sponsors are sure to use the world's best chess player for endorsements and more, states DN. Success at the forthcoming World Chess Championship could further up the earnings for MagnusChess, DN had reported, in its print edition right after Magnus Carlsen signed a new sponsorship agreement with Nordic Semiconductor last month. DN estimates that a victory over Viswanathan Anand, at the forthcoming World Chess Championship, could fetch the World No. 1 nine million NOK ($1.48 million) in prize money, plus six million NOK ($987000) in bonuses from sponsors (including also Arctic Securities, SIMONSEN Advokatfirma, V-G) and other sources. 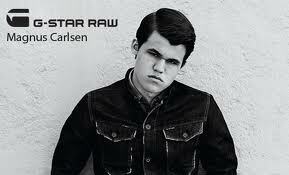 Earlier, when Carlsen had signed a deal with clothing giant G-Star in 2010, Henrik Carlsen had told newspaper Aftenposten that the sponsorship deal was “the whole difference” between the two years as his son had not earned more in prize money during 2010. The company’s pretax result was NOK 4.87 million (over $900,000 then), which took into account NOK 3.72 million (over $690,000 then) as fees for Magnus Carlsen’s teacher, the legendary Russian Garry Kasparov. The company saw an increase in income from NOK 3.5 million (nearly USD $650,000) in 2009 to NOK 8.4 million (over USD $1.5 million) in 2010 due to a deal with clothing manufacturer G-star. 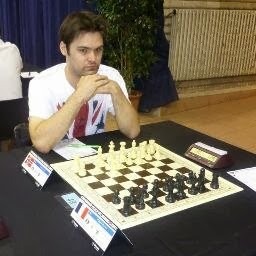 Has a special clause been added in the World Chess Championship 2013 contract to allow the players a two-day 'leave of absence' from 'work' due to illness? A report in the Indian newspaper Deccan Chronicle states: After a delay of two months and the inclusion of an illness clause in the terms and conditions, World No.1 Magnus Carlsen of Norway and five-time world champion Viswanathan Anand of India signed the contract on Tuesday for the world chess championship match that is slated to take place in Chennai from November 7 to 28 this year. “For the first time in a world chess championship match, we have introduced an illness clause that states that a player can take two days off if he falls sick,” a source told Deccan Chronicle, adding that the players were expected to sign the contract long ago. 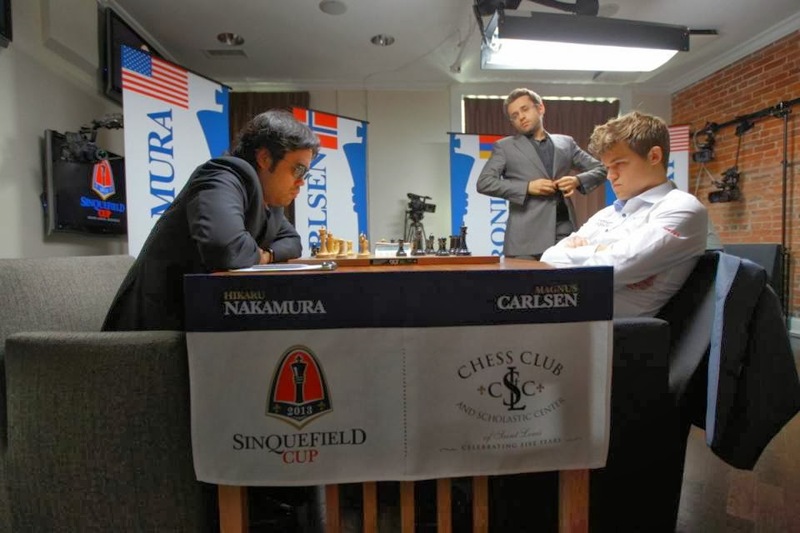 In fact, the one fear that most players and top Grandmasters have expressed about the World Chess Championship venue being in Chennai is that Carlsen might not be able to cope with the food and heat in India. Carlsen's team - during the World Championship - is going to include a chef. Carlsen has never travelled to India before and is totally unfamiliar with the climate and conditions. What makes it even more tricky is that the weather conditions in Chennai are 'polar' opposite to that of any city in his home country of Norway. The clause has possibly been added to allay any fears Team Carlsen may have about playing in India. 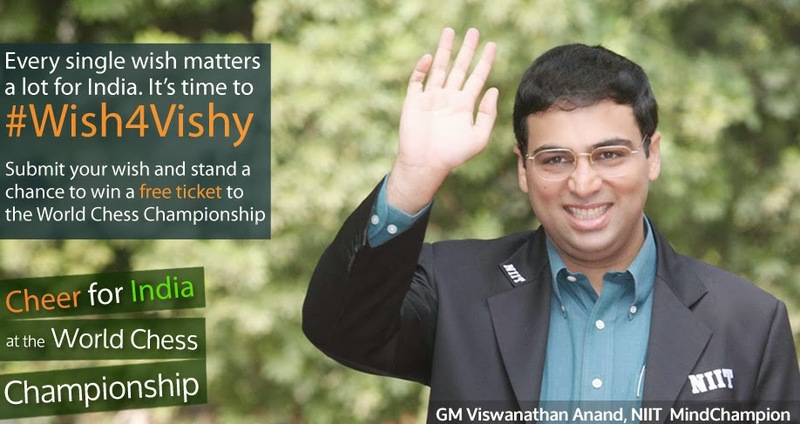 Chennai is Viswanathan Anand's home city. 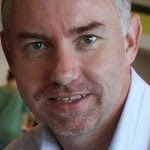 It is unlikely that the clause has been added on the World Champion's request! 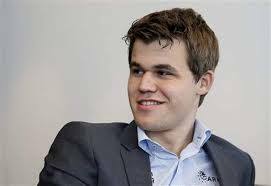 However, if Carlsen would be staying in his hotel and not venturing out during the match, it is unlikely that he would be affected by the weather. The Hyatt Regency - venue of the World Chess Championship 2013 - in Chennai, offers world-class facilities. 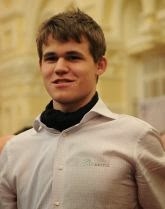 Carlsen is visiting Chennai next week to inspect Hyatt Regency, the venue for his match against Anand. During his maiden trip to India, he is scheduled to play simultaneous chess with young players at MOP Vaishnav College on Monday. 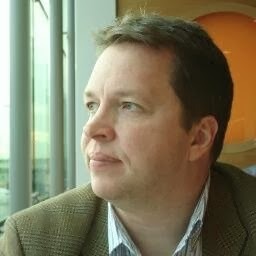 The Norwegian may meet the Tamil Nadu chief minister on Tuesday before he flies back home on the same day. Carlsen will be accompanied by his manager Espen Agdestein. Viswanathan Anand's wife and manager Aruna has already inspected the tournament venue. The Norwegian Embassy in India is involved in helping Magnus Carlsen (22) with the upcoming World Chess Championship Chennai match, writes Sindre Murtnes in the Norwegian website nrk.no. 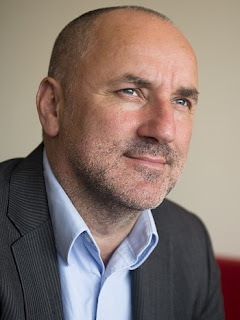 Carlsen's manager Espen Agdestein said, "We are very pleased that they (the Norwegian Embassy) has been so committed, and that they are so determined to help. We have already received a lot of help. 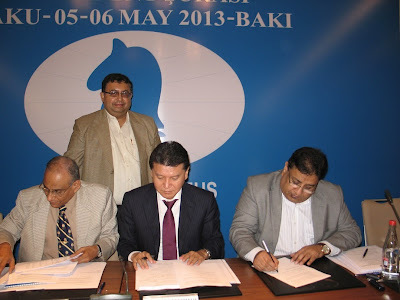 They have had several meetings with the Indian Chess Federation. They have checked out hotel facilities and they are doing at all they can to help us." 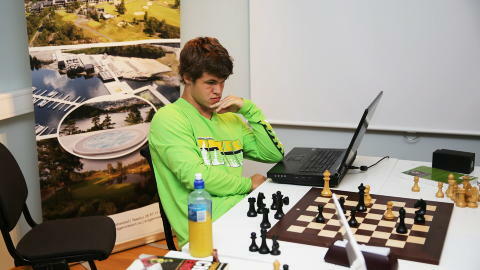 Carlsen is, at present, training in Kragerø. Carlsen's team is being very careful about how to plan for India for the World Chess Championship in Chennai. Tone Slenes, first secretary, Embassy of Norway in New Delhi, says her primary responsibility to help Carlsen and his team with his stay. She also said it was natural for the Embassy to help exploit the cultural benefits becoming available with the World Chess Championship 2013. She said, "This a huge event for both Norway and India, and it is natural for us to use it as an opportunity to promote cooperation between Norwegian and Indian resources. It is interesting in relation to cultural cooperation, science, research and business." She said the Embassy has good contacts in the Indian Chess Federation and that have helped in the dialogue between the chess federations. The Embassy has also assisted with practical work including visas, travel, hotel and other facilities.